I am really excited and grateful to Lewisham Homes who will be sponsoring the #HousingDay Newsroom. And I am even more excited that I will be joined in the NewsRoom not only by the guys from Resource, who, of course, are the people who bring you CommsHero, but also by Social CEO, Lisa Pickard from Leeds & Yorkshire HA, founder of #HousingDay, Adrian Capon, of Yorkshire Housing, Jenny Osbourne, CEO of TPAS, Caroline Chapman, from InCommunities, Beckie Kinsella from Plus Dane, and Hannah Jowett from Leeds Federated HA. But don’t worry, there’s probably room for you, if you still want to come along. We’ll be curating and amplifying the best content from the day, as well as regularly live streaming news bulletins. And, of course there will be regular live linkups with our sponsor, Lewisham Homes. I have been particularly impressed with Lewisham Homes’ Humans of Lewisham project, which has taken its inspiration from the world famous Humans of New York to celebrate tenants and their lives in photography with accompanying text. We’ve been discussing this in the Digital Storytelling sessions I’ve been doing recently with Riverside Group, and we’ve agreed that this model provides a fabulous format for telling positive stories about tenants. And, as the theme of this years #HousingDay is #proudtenant; celebrating the lives and achievements of social housing tenants is exactly what we will be doing. 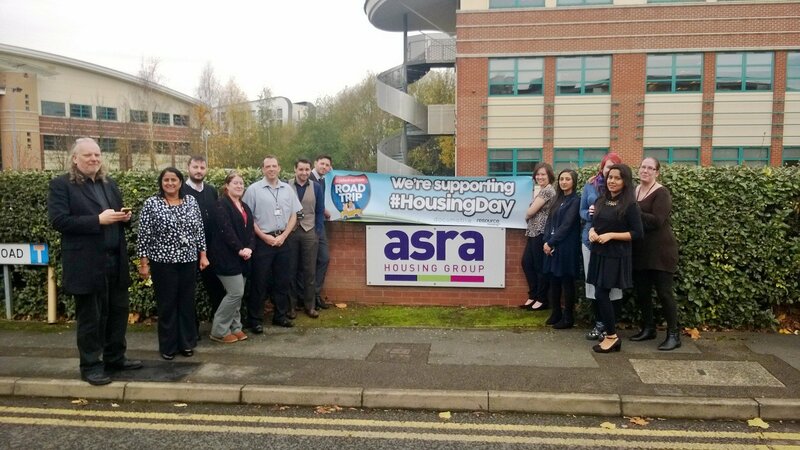 #HousingDay is approaching fast. The annual opportunity for people who live and work in social housing to celebrate what they do and show the world the positive sides of their lives and work is now in its third year, and, in 2015, it falls on Wednesday 18th November. This year’s #HousingDay theme is “Proud to be a Tenant”, and social landlords are being asked to work with tenants to celebrate the positive aspects of being a social housing tenant and provide a platform to counter all the negative mainstream media stereotypes. For #HousingDay last year, I ran the #HousingDay RoadTrip when I drove over 700 miles visiting social landlords from Leeds to West Kent and South Wales to highlight some of the great work they were doing. The trip was sponsored by Documotive, software supplier to the sector. The RoadTrip was great, it was invigorating, inspiring, and educational. But it was also exhausting. So, this year, my plan is different…. and static. For this year’s event, I am planning the #HousingDay NewsRoom. I am going to get together with some other social media users to run a news room which will curate, highlight, and amplify some of the best content coming out of the day. There will be an hourly, live-streamed news bulletin running through the events so far and providing a high profile platform for great stories emerging on the day. I am already very grateful to the support of Comms Hero founders Resource for agreeing to provide the base for the NewsRoom at their offices in Leeds. What I need now is other social media users with an interest in social housing to come and join me on the day to help run the NewsRoom. It will be a lot of fun and we will all learn a lot. Come and join me in Leeds on 18th November. 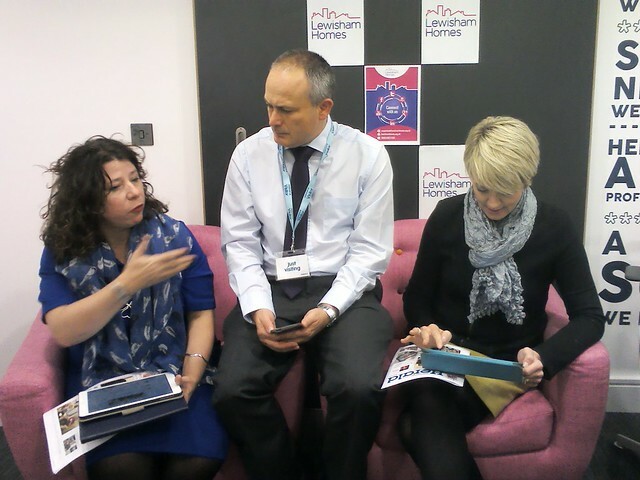 A momentum is building from year-to-year and each #HousingDay can be more prominent and high profile than the last. Help me make the NewsRoom a success and contribute to the best #HousingDay yet. 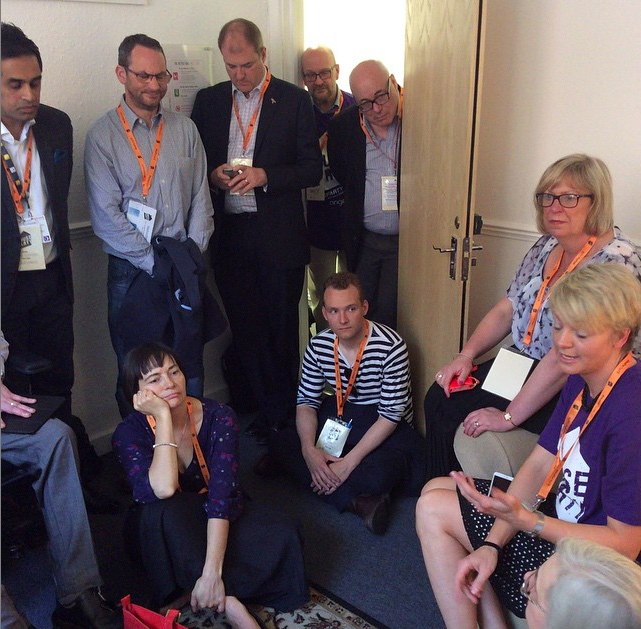 Where are the tenant digital leaders? What did you do last Saturday? 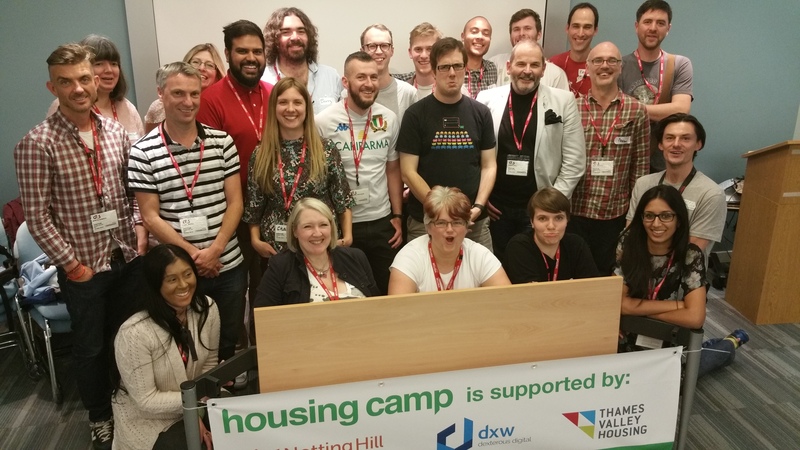 Well I got up at 5am, hopped on a train to London and spent the day at HousingCamp with, what turned out to be a relatively small, but very engaged, bunch of housing professionals. It was a great day, with lots of interesting discussion, and I left feeling, as I did at HouseParty in June, that, events like this provide spaces where those who retain a sense of optimism, despite the turmoil the social housing sector is going through, can come together and find common cause with others of a similar mindset. I shot the video below of the final session where those who had stayed to the end expressed their thoughts on what they would take away from the day. It includes my assertion that the day had provided the opportunity to launch a nationwide network of digitally savvy tenants. This is something I’ve been working on for some time now. I firmly believe that one of the most effective ways of countering the negative propaganda put out by some of the mainstream media, and some politicians, about the people who live in social housing is to ensure that tenants are empowered to tell positive stories about their lives and their communities, and to use digital media in doing so. So far, in the work I have done on social media with tenants I have tended to work with the existing tenant representative structures. I’ve met some lovely people doing this, and have seen a number of lightbulb moments as they have “got” social media. But, by and large, it is not the traditional tenant activists who are going to provide digital leadership. There are lots of, possibly younger, tenants who are active on social media, but they probably tend not to associate themselves with tenants associations and the like. I have met a few digitally savvy tenants. Some face-to-face, and some online. But, as far as I can see, they don’t generally organise around housing issues. There are, of course, some very notable exceptions to this rule, some related to the causes embraced by Russell Brand in London. But I really want now to start on creating a national network of digitally savvy social housing tenants to provide a social media voice for tenants and their daily concerns. 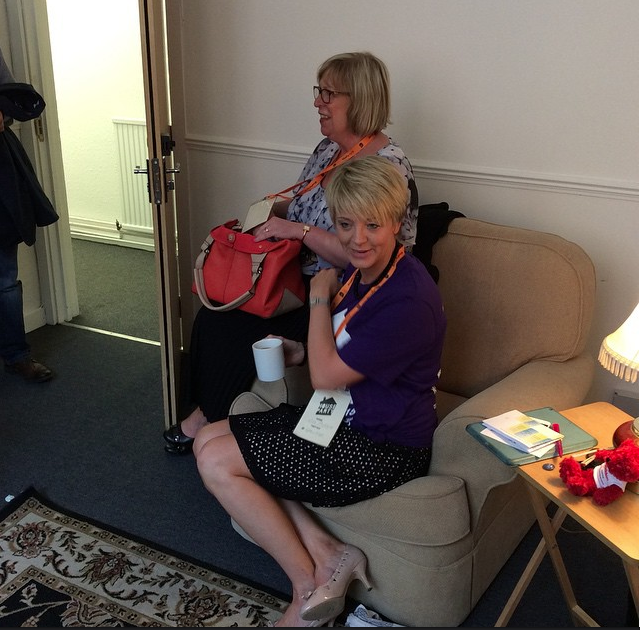 If you are such a tenant, or you can help with support, money and resources in getting the network going, please get in touch. Digital Inclusion – are the corporates joining the party? My attention was drawn on Twitter yesterday to this story about Uber. In case you’ve been on another planet for the last year or so, Uber is the company which is using apps and the internet to shake up the taxi industry, and this story is about how an older woman is using Uber to continue to be mobile after having to give up her car. From my point of view, the most important part of the article is the revelation that Uber itself is getting into the digital inclusion business by assisting older people to use its service. This led me to ask myself if this is part of a trend, and whether something can be done to encourage it further. The trend, I think, is that more companies which deliver services online are getting into the business of helping those who struggle with the online world to be able to access their offers. One well known example of a British company doing something similar is Barclays with their Digital Eagles initiative. I have spoken to a couple of supermarket retailers recently who are thinking of dipping their toes in the waters, and Argos has run their own programme which included enabling people to buy a tablet for £20. Is this a trend? If it isn’t I think it should be. The GoOn Campaign has its corporate backers, and, there has been a growing recognition of the issue in the public sector, with the social housing sector in particular, and now the NHS beginning to make digital inclusion more of a priority. To me, it makes perfect sense that if organisations, whichever sector they are in, want people to use their services online, they need to get involved in helping those who have difficulties in that respect. Do you know of any interesting initiatives by private sector companies? If so, please let me know in the comments. If you are a private sector organisation who’d like to work with me on these issues, please get in touch.